My Comments: The first monthly Social Security income benefit ever paid was to Ida May Fuller on January 30, 1940. Today, some 77 years later, it is a critical income source for millions of Americans. This article by Sean Williams confirms the role Social Security plays in the lives of millions of Americans, and I’m one of them. If not already, you too will become a recipient of benefits from this 82 year old program. I’m creating an internet course called Successful Retirement Secrets. It will have three major topic areas, one of them about Social Security. The course will be a comprehensive and sophisticated outline for someone to follow as they slowly move through life toward retirement. I expect to have it ready to go before year end. In terms of retirement income, no program is more vital to seniors’ financial well-being than Social Security. For more than 75 years, Social Security income has been providing a financial floor for countless seniors, with the Center on Budget and Policy Priorities estimating that elderly poverty rates in America are just 8.5% because of Social Security income, as opposed to 40.5% without it. Data from the Social Security Administration backs up this reliance on benefits. According to the SSA, 61% of all beneficiaries are counting on their Social Security benefits to supply at least half of their monthly income. This figure was particularly high (71%) for unmarried elderly individuals. Even pre-retirees, which believe they’ll be less reliant on Social Security than the current generation of beneficiaries, would likely struggle to make ends meet without Social Security income. 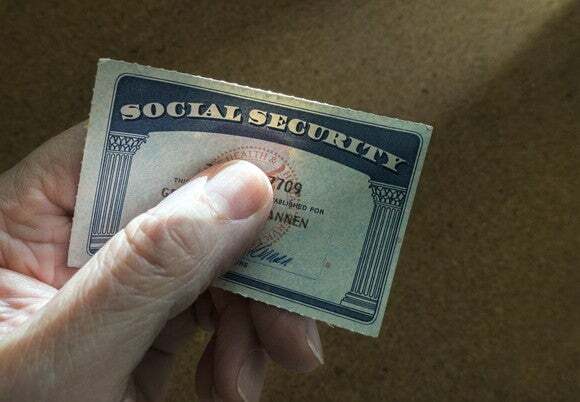 While on one end Social Security has been a financial blessing for many retired workers, their spouses, and their families, it’s also a major cause for concern. Projections from the Social Security Board of Trustees suggest that the program could begin paying out more in benefits than it’s bringing in via payroll taxes, interest, and through the taxation of benefits by 2020, ultimately culminating in the program exhausting its more than $2.8 trillion in spare cash by the year 2034. If you’re among the many retirees reliant on Social Security, the idea of the program “exhausting its spare cash” probably sounds terrifying. The TransAmerica Center for Retirement Studies, which regularly surveys Americans to get a feel for their retirement preparedness and knowledge, found earlier this year that 77% of workers are concerned that Social Security will not be there for them when they retire. Yet the truly terrifying fact here isn’t that Social Security’s spare cash is expected to be depleted in less than two decades; it’s that a majority of working Americans are just plain wrong about Social Security. One of the near-surefire guarantees of Social Security is that it will be there when baby boomers, Generation X, millennials, and Generation Z retire. In other words, Social Security won’t be going bankrupt anytime soon, if ever. The reason Social Security will be able to provide benefits to America’s retired workforce, the disabled, and survivors of deceased workers lies with the payroll tax. Even if the more than $2.8 trillion current in spare cash is depleted as the Trustees report has predicted, payroll tax revenue — a 12.4% tax that’s often split down the middle between you and your employer, or which is paid in full by the self-employed — will continue to be levied and collected on America’s workforce. As long as Americans keep working, the program will continue to generate revenue. Budgeting is critical for a variety of reasons but none more important than that it helps you understand your cash flow. If you don’t have a firm grasp of where your money is being spent once it’s deposited into your account by your employer, then your chances of maximizing your saving habits or minimizing your discretionary spending is low. • Getting everyone in your household involved, since it’ll encourage you and those around you to stick to the household budget. • Meeting up with like-minded individuals once or twice monthly to share your ideas and progress. • Using separate accounts for different spending categories, such as food and entertainment. • Most importantly, analyzing your data monthly to assess your progress. Having a retirement budget is just as critical as the budget working Americans use to save money. Retirement probably means giving up a consistent working wage for good, and for many Americans that can mean a sudden drop in monthly income. If you’re nearing retirement and haven’t thought about a retirement budget, you could be in for a shocking surprise when your income drops 10%, 20%, or even more once you retire, especially if you’re still working with your old budget from when you were working. Arguably the most popular retirement income channel is the employer-sponsored 401(k). According to StatisticBrain.com, 52.5 million Americans have a 401(k), with the value of assets held by 401(k)s totaling about $4.5 trillion. A 401(k) is a tax-deferred retirement plan, meaning the money is taken out pre-tax and can lower your current-year tax liability. However, you’ll owe federal tax once you begin making withdrawals during retirement. A 401(k) can be particularly attractive if your employer offers to match a percentage of your contribution, which is essentially free money. For those of you who work for an employer that doesn’t offer a 401(k), either a traditional IRA or Roth IRA is always available. The popularity of the Roth IRA has grown particularly quickly in recent years since eligible distributions are completely tax-free. Unlike a traditional IRA or 401(k), which provide that aforementioned up-front tax benefit and deferred taxation until retirement, a Roth IRA is funded with after-tax dollars — and since you’ve already paid your taxes on those dollars, any subsequent gains on that money is free and clear of taxation as long as you make a qualified withdrawal. Long story short, there are ample ways for working Americans to save money and diversify their income stream during retirement. Social Security will be there for you when you retire, but that doesn’t mean you should rely on it to be your primary or sole source of income.